KLA Laboratories, an 86-year-old family-owned communications technology company based in Dearborn, MI, has announced a new business partnership with Trucom, a facilities-based competitive local exchange carrier headquartered in Phoenix, AZ. The collaboration, effective immediately, allows KLA and Trucom to expand the scope of services they provide to clients. The announcement was made by Matt O’Bryan, president and CEO of KLA Laboratories. As a part of their westward expansion, the company hired Glen Sutphin, formerly the president of Dorma USA, in January to become its West region director. Expanding upon its current geographic footprint, KLA Laboratories will open their Las Vegas, NV location in June with announcements for future expansion planned. Trucom is a facilities-based Competitive Local Exchange Carrier (CLEC) providing carrier grade phone, internet, fiber optic, wireless, hosted PBX, and cloud services. Trucom has 60 miles of underground fiber-optic cable, providing secure and comprehensive network integrations to its clients, which include Honor Health and large residential and senior citizen communities. The partnership allows KLA Laboratories and Trucom to offer the underground fiber optic cable to national cellular service providers as a standalone service. 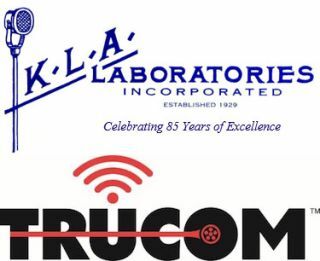 “The Trucom and KLA partnership provides both companies with additional technology infrastructures to enhance product offerings, and to better serve our domestic West Coast client base as well as international customers,” said Rick Eberhardt, CEO of Trucom.